These sound like my kind of popsicle! Chocolate peanut butter... Yum! 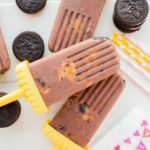 Easy to make Chocolate Oreo Peanut Butter Popsicles recipe! 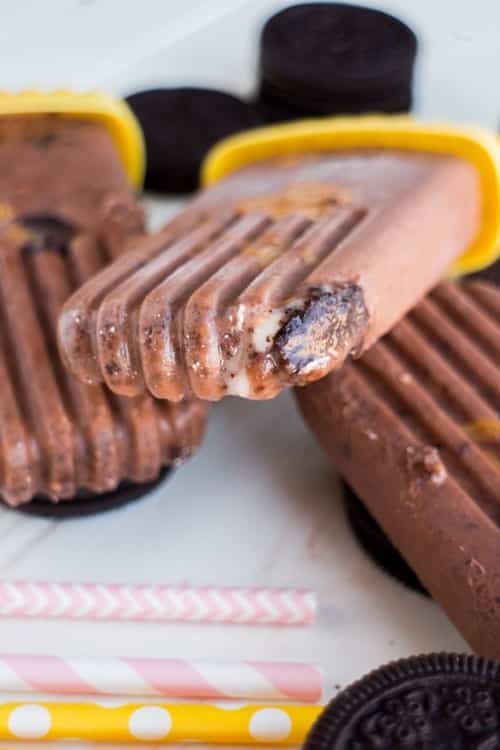 Your entire family will love these Summer ice cream treats! 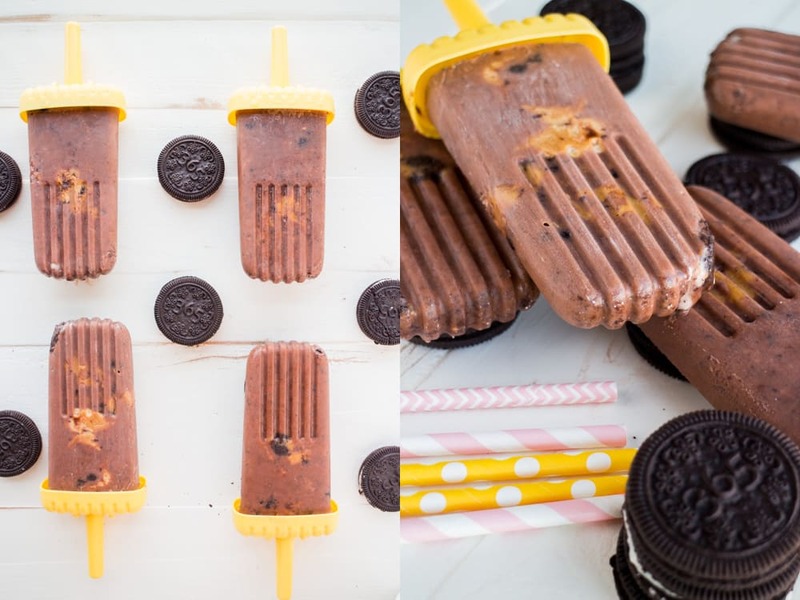 These Chocolate Oreo Peanut Butter Popsicles will bring all the boys to the yard. Ok, not just boys. Girls, children, cats, dogs, gnomes. Practically everyone. Once you make a batch of these, they will be gone right away and then your family will be requesting a new batch. So you’ll make another and they’ll be gone right now. And then you have to have a popsicle intervention because these are that good and addicting. I mean once you have the 3 most important food groups in a a recipe, you’re pretty much set to be satisfied. These are easy to make too. 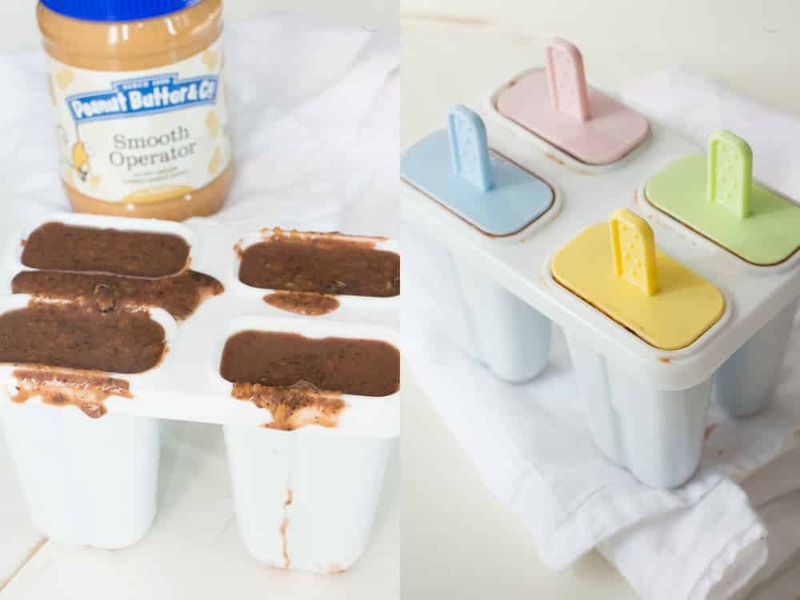 They take less than 5 minutes, then you throw them in some popsicle molds and pop them in the freezer. In a few hours (after everyone keeps asking “Are they done yet? !”) they will be done. Everyone will cheer. They’ll throw confetti. And then they will carry you to the freezer to give them out. 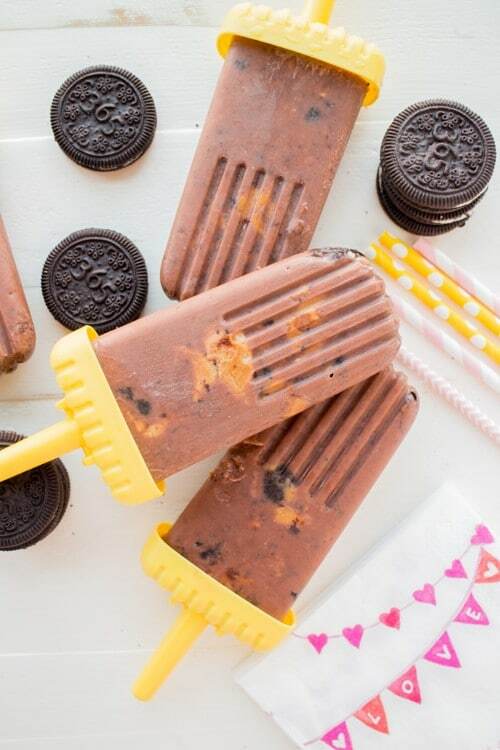 I just turned this into a popsicle party where you are the Queen. And please, whatever you do, don’t forget to spoil yourself. In fact I think you deserve to eat the first one. In fact again, I think you deserve to lick the bowl clean after you mixed all the ingredients up and filled in the popsicle molds. If your husband or kid tries to grab that bowl, you push them away (gently if you must), then lock yourself in a room, throw on some slow jazz and make it a fun time. 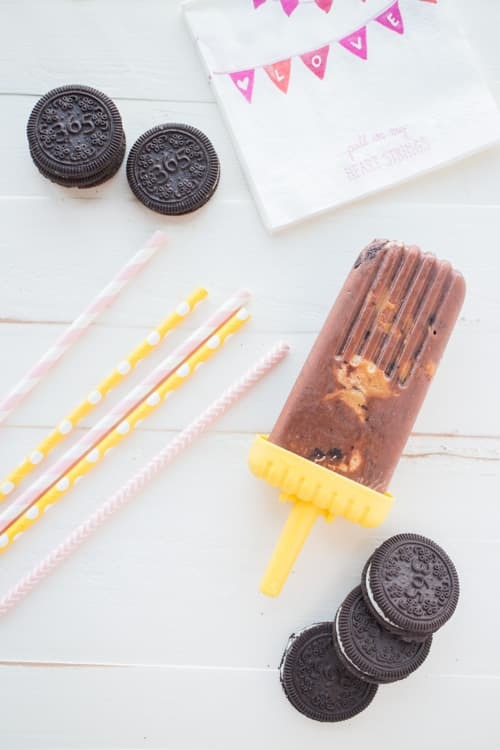 So go on now, get you popsicle on this Summer! In a mixing bowl combine all ingredients. Whisk until smooth. Oh boy! What is there to say – who’s not going to be addicted to these! Love how you think! 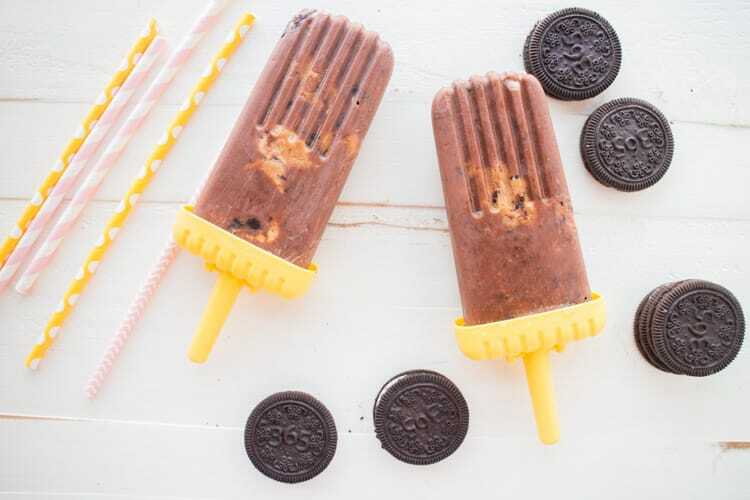 I am not much of a popsicle eater, but I would be gobbling these babies down! 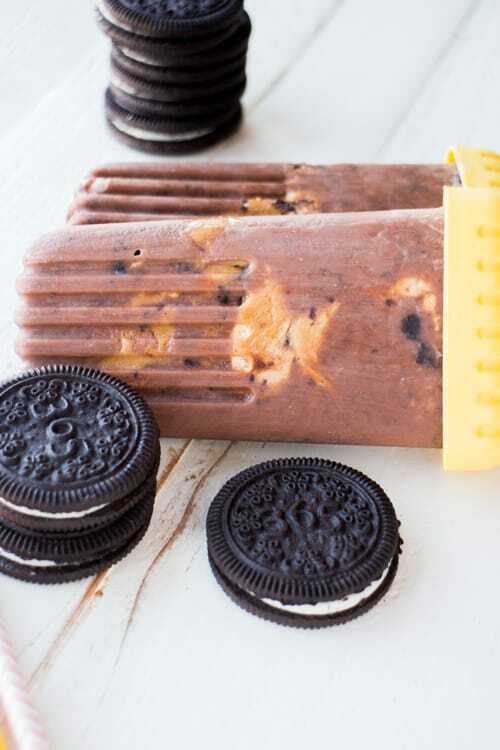 I do like fudge sciles, so these are right up my alley and even BETTER. In fact waaaaay better! They look so delicious. 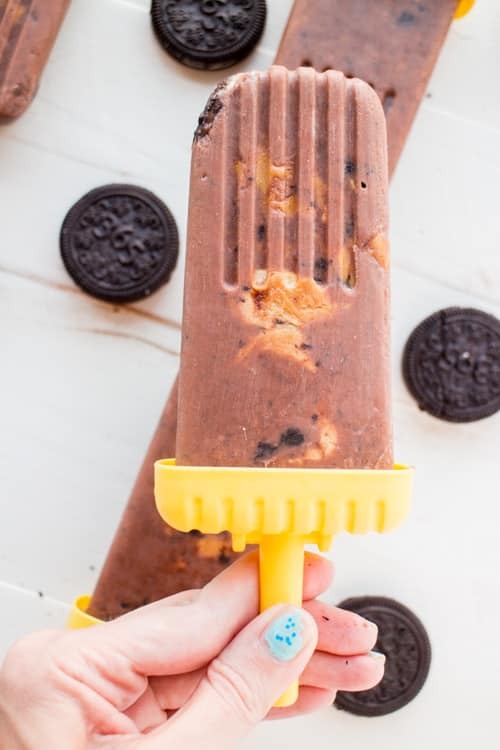 Peanut butter and oreo..a heavenly combo! 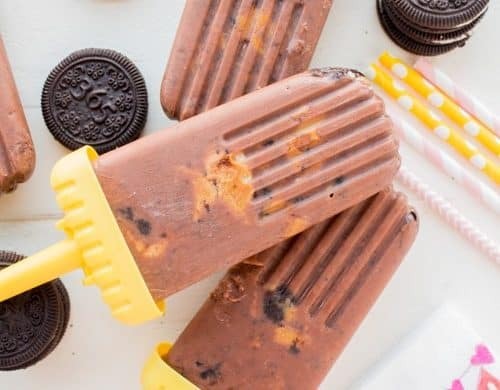 I’ve been on a popsicle kick and these sound amazing! Yay for peanut butter and chocolate together! I could live on those 3 food groups! And probably have, in the distant past. 😉 Really nice recipe — these will disappear instantly in our house! This is so yummy. And surprisingly easy to make. probably my idea of PERFECT POPSICLES!! love how rich and creamy they are! these loo 10 types of fab! Super yum. I made these tasty beauties! I loved licking them! These sound like my kind of popsicle! Chocolate peanut butter… Yum!